Even though the CDC has been trying to warn the public of the dangers of smoking, hookah bars have become one of the fastest growing social trends among college students. But why is hookah so popular? Most hookah bars are located close to college campuses and are one of the few places closed to people under the age of 18. But they’re still fun for those of us who aren’t quite 21 either. Smoking hookah can be cheap and fun because most people do it in social settings. The environment is usually relaxing, filled with couches and good music playing in the background. Hookah bars usually allow up to eight people on one bowl. The more people on a bowl, the less tobacco there is for each person to smoke and the lower the bill at the end of the night. Each person has their own mouthpiece and the group can choose different flavors. There are tons of flavors, like orange, cherry, apple, and banana, even mint. 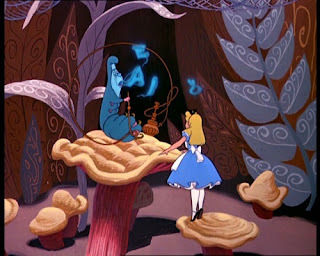 Technically, there is no smoke; they call it vapor because you smoke the tobacco through a glass water-based pipe. Many people do not know that there are different kinds of hookah, even tobacco-less hookah. Herbal hookah, like Zero non-tobacco molasses does not have tobacco in it but is made of different types of herbs. But be careful! Because there is no tobacco in this product, it is not government regulated, and, therefore, the company does not have to say what herbs are in the product. If you choose to smoke with tobacco remember the health risks! Tobacco smoking can increase the risk of coronary heart disease, stroke, lung cancer, and even death. Smoking hookah does not make you high but can make you feel lightheaded or even nauseous. Although there are health risks, just like there are with drinking at the bar, making a night out with friends at the hookah bar can be relaxing as well as entertaining. The decision is up to you. What do you think? Is hookah safe, or should it be avoided? I have enjoyed hookah with my friends on occasion however, I am not completely aware of the health risks associated with it. I definitely need to do more research before I do it again.